Aortic valve disease is a condition that occurs when there is a problem in the functionality of the aorta and left ventricle. The aorta is the largest artery in the body. The aortic valve regulates how blood flows from the left ventricle down to the aorta. 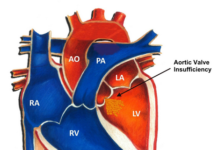 Aortic valve disease exists in two variants, aortic stenosis, and aortic regurgitation. In aortic stenosis, the lumen of the aortic valve is much smaller than usual thus leading to a reduction in blood flow to the aorta. 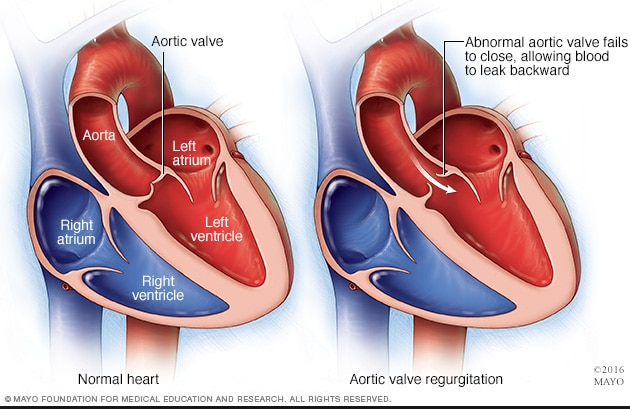 In aortic regurgitation, the valve is now too wide and permits backflow of blood to the left ventricle. There are some symptoms similar to both forms of aortic valve disease and also symptoms specific to each form of aortic valve disease. Similar symptoms include chest pain on exertion that is relieved by rest. Both forms of aortic valve disease may take a very long duration to occur so it is advisable to report to the doctor when you have noticed any of these symptoms. Also, inform the doctor if you have ever had rheumatic fever, infective endocarditis or scarlet fever as these are diseases that increase the likelihood of developing aortic valve disease. Aortic valve is made up of leaflets. In a condition where calcium accumulates on the leaflets, the lumen will be narrowed resulting in aortic stenosis. More and more calcium continues to build up as blood circulation continues. This calcium accumulation can cause a hardening of the leaflets thereby constricting the aortic valve but this type is only seen in older people. Aortic stenosis may also be caused by rheumatic fever and scarlet fever. They usually start as a streptococcus infection of the throat and subsequently heal with scar formation on the aortic valve. These scars that have been left make the aortic valve to be constricted. The scar tissue may also serve as a site where calcium is deposited and stored. Some of its causes are similar to that of aortic stenosis though a mild injury can also cause it. Normally, the aortic valve being a valve functions by opening and closing and this happens numerous times daily. 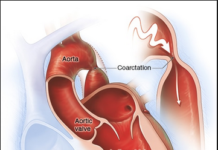 As time passes, a wear in the aortic valve could make it not to function properly and the worn valve may permit a back flow of blood into the left ventricle. Endocarditis is an inflammation of the heart valves due to infection and this may result in aortic regurgitation. Syphilis, a sexually transmitted disease, can cause a damaging of the heart valves. Also, damage to a heart valve may be a side effect of Ankylosing Spondylitis, a disease condition affecting the spine. Both syphilis and ankylosing spondylitis can cause aortic regurgitation. Another possible cause of aortic regurgitation is a congenital heart defect that occurs at birth. The aortic valve is formed by 3 triangular flaps called leaflets. Normally, these leaflets are all tight together to allow unidirectional flow of blood but in the presence of a congenital heart defect, one or two leaflets may be missing resulting in an aortic valve that has only one (unicuspid) or two (bicuspid) leaflets instead of three. This form of aortic regurgitation is usually asymptomatic until later life when symptoms of valve leakage begin to occur. Similar diagnosis for both forms of aortic regurgitation. A concise health history would be taken including a family history of the condition. An electrocardiogram may be ordered as it measures the electrical activity of the heart thereby giving information on the heart rhythm. Exercise tests can be done to measure the hearts response to physical activity. An echocardiogram too can be done, it works by making use of sound waves to produce an image of the heart and aortic valve. Chest X-ray is mostly used in the diagnosis of aortic valve disease. If the above tests do not conclude on diagnosis, a cardiac catheterization may be necessary. It makes use of a dye to elaborate the leakage points in the cardiac valves. It involves the administration of the dye through the femoral vein or through a vein in the arm and visualization until the dye progresses to the heart. A magnetic resonance imaging of the heart may also be ordered and this makes use of magnetic fields and radio waves to produce concise images of the heart and aorta. There is no medication that solely treats aortic valve disease at the moment. Medications can only be given to manage the symptoms produced by aortic valve disease. For aortic regurgitation, the blood pressure should be brought down to avoid the accumulation of fluid. For aortic stenosis, the major problems are disorders of the heart rhythm so drugs are given to manage the disturbances. Beta blockers and calcium antagonists can help with chest pain. High cholesterol levels may also be reduced by taking statins. 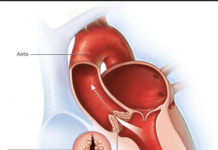 Aortic valve disease can be treated by different surgical modalities. The commonest and very effective treatment is aortic valve replacement. Here, a damaged aortic valve is removed and substituted with a new one from either a human donor or that from animal sources like cow or pig. The surgeon may choose to go for a mechanical valve but these are composed of metals and are hard thereby increasing the likelihood of blood clots in your heart. A permanent anticoagulant therapy using drugs such as warfarin may be indicated for this form of treatment. Instead of replacing the valve with another, a surgeon may choose to just repair an already damaged aortic valve, a condition known as valvuloplasty. This method usually does not require long-term use of medication after the operation. 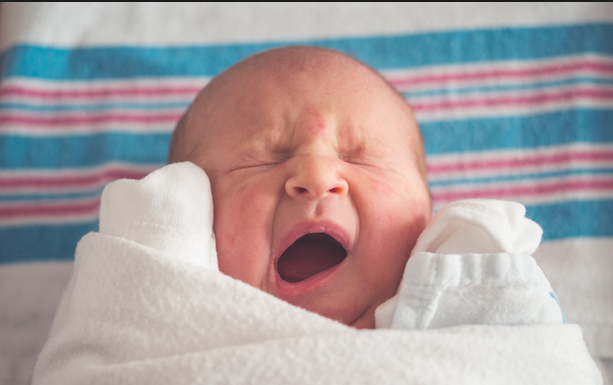 For infants and children, a balloon valvuloplasty may be done where the surgeon puts a thin tube with a balloon at the tip into the body of the child. The balloon is directed to the aortic valve and inflated. While it is being inflated, it expands the Valvular opening thereby increasing blood flow. It is not suitable for adults because chances are that the valve would still narrow later on in life. Make sure you have a sore throat checked out by a doctor, so rule out strep throat. Strep throat could lead to a heart-damaging condition. Practice a good dental hygiene by ensuring that the teeth and gums are taken good care of. This decreases the likelihood of blood stream infections that may cause endocarditis. Keep your heart healthy by reducing your blood pressure if its high and reducing your cholesterol level if it’s high. Speak to a doctor for assistance. A high blood pressure and a high cholesterol level are related to aortic valve disease.